While the main incentive for buying an Oyster yacht is invariably to acquire an dependable large luxury cruising yacht, an important additional benefit for some owners are the regular regattas that Oyster Marine runs around the world. These have two main objectives – fun and safety. Among the fleet there tends to be different levels of experience on the race course at the same time, with the experienced racing sailors on high performance yachts ensuring the less experienced sailors, or those with young families, also enjoy a first-rate experience. 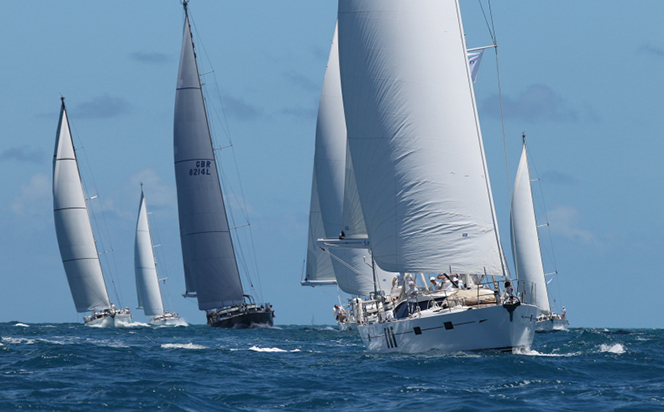 The latest event was held on the Caribbean island of Antigua in April this year, hosting 14 yachts from six countries. 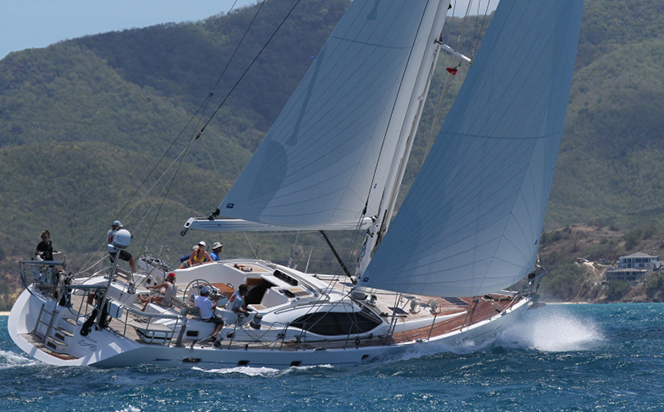 These ranged from older Oyster 53s up to the British boat builder’s largest and latest models. The latter included former Formula 1 magnate Eddie Jordan’s Oyster 885, Lush. The starting and finishing point for the six-day event was Nelson’s Dockyard in English Harbour. 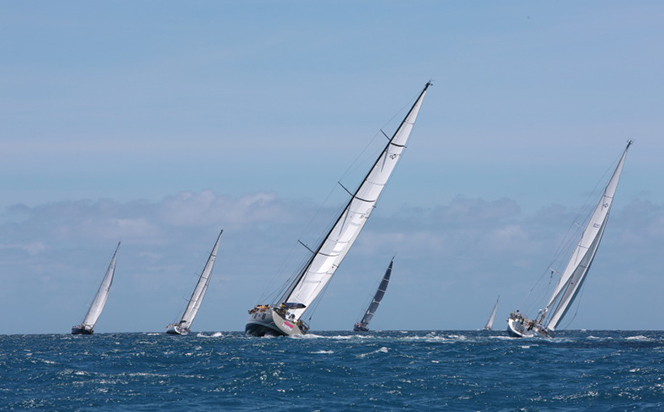 The programme included four days of racing, along with fabulous parties at some of the island’s most famous locations. 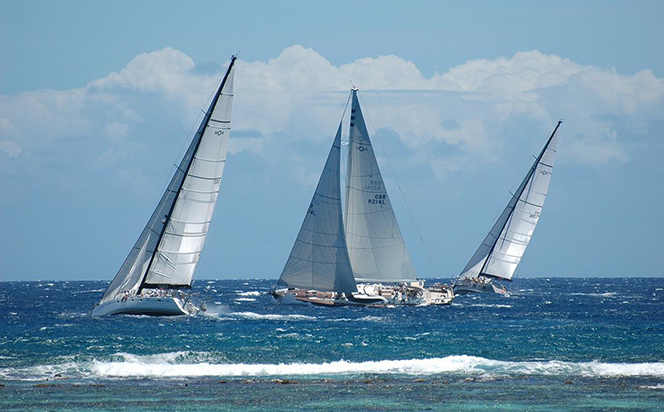 The first day saw the fleet racing from English Harbour to Nonsuch Bay in shifty conditions that saw the wind oscillating between south and south-east and varying in strength from 6 to 16 knots. A highlight was the mid week lay day at the Jacqui O’s Love Beach on the leeward coast of Antigua. This is a stereotypical tropical paradise blessed with fine white sand, crystal clear water and a perfect view of Antigua’s volcanic neighbour, Montserrat. The penultimate race was held in truly magnificent tradewind conditions, with the fleet enjoying exhilarating racing in winds of up to 20 knots in brilliant sunshine. Two of the three classes were so close that the winners were decided on the last race. Spectacular sailing conditions again prevailed with a brisk 20 knots of wind from the south east as the fleet headed back to English Harbour. 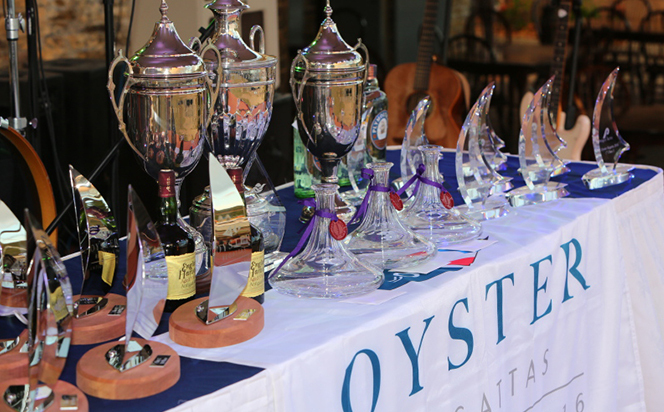 The next events on Oyster’s calendar are at the Royal Southern Yacht Club in the Solent on the south coast of the UK (July 4-6, 2016), followed by the 38th Oyster Regatta in Palma, Mallorca (October 4-8, 2016).